Lambeth Town Hall, situated in the heart of Brixton, is a grand old Edwardian building which opened over a century ago in 1908 by King George V and Queen Mary. 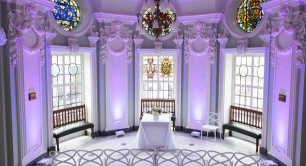 The Grade II listed building has recently undergone an impressive refurbishment which has beautifully restored the building to its original glory, making it a picturesque location to get married or form a civil partnership. Located in the heart of the Town Hall and arguably one of the most impressive rooms. These beautifully renovated suites are normally reserved for mayoral events. 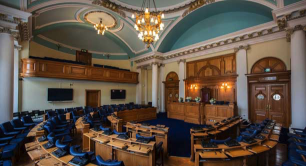 This unique and opulent space within the Town Hall is a showcase to its stunning Edwardian architecture. 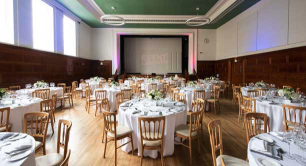 The newly refurbished art deco Assembly Hall is perfect for large weddings. The Ceremony Suite is a modern, warm, inviting room which can seat up to 40 guests. 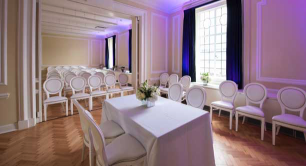 Located on the first floor Suite 16 perfect for large ceremonies. The perfect choice if you're looking for a slightly more intimate setting. 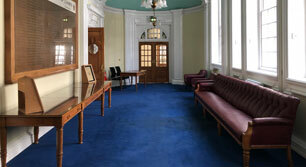 To arrange a viewing of the Town Hall rooms, email registeroffice@lambeth.gov.uk and include your contact details and preferred time and date within our opening hours (Monday to Friday, 9am to 5pm). Tours will be 30 minutes at most. Please bear in mind that we are one of London’s busiest Registrar’s Office and will need at least one weeks’ notice before organising a tour. 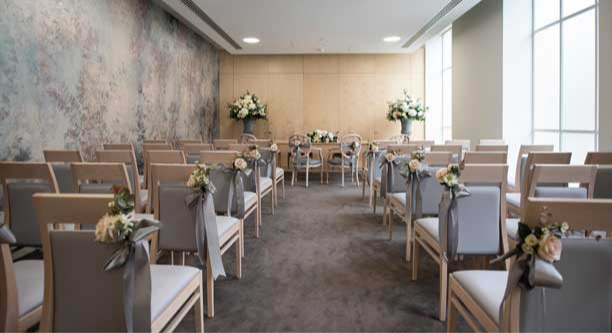 Confetti is not allowed at weddings taking place in Lambeth Town Hall venues, including our Ceremonies Suite or out in the courtyard. You are invited to bring bubbles, alternatively we will have bubbles that you can purchase at reception. Please see our booking policy for more details (add link). There is no parking at Lambeth Town Hall, but instead a drop off zone next to the Registrar Office on Buckner Road. If you need to use our drop off zone please inform the Registrar Officer when booking your ceremony. Transport links to Brixton are second to none with an Overground and Underground train station, and bus links from all over London. 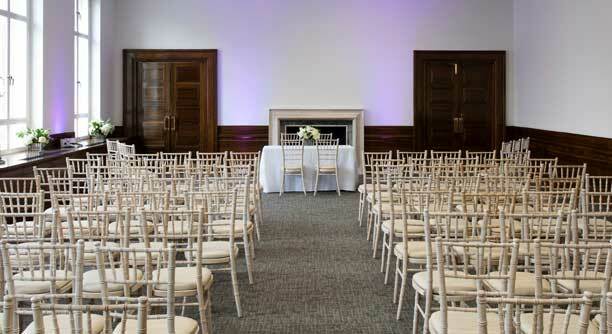 Please note that all Town Hall rooms (except the Ceremony Suite) are dry hire. Despite this, we do offer limited chairs, tables, and decorations should you require. Contact us for further information on this or ask one of our registrars when visiting the Town Hall.